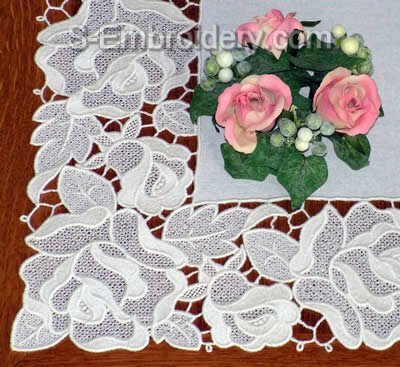 A set of 3 free standing lace edging machine embroidery designs. 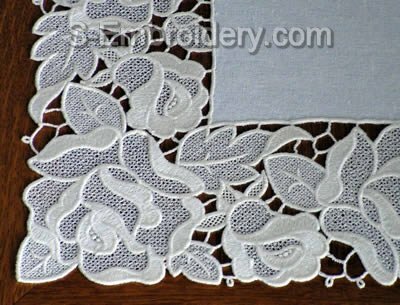 You can use these delicate lace edgings for your table runner, table cloth, curtains or other embroidery projects. The designs are available in 2 sizes. 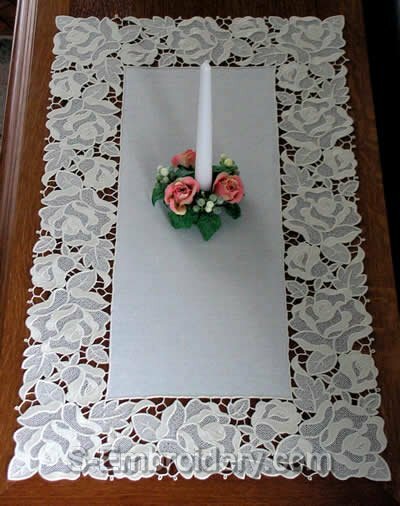 We offer 3 machine embroidery files in one of the supported formats and your chosen size as well as design information and instructions in PDF format for creating the table runner, featured on our site. Beautifully stitched runner looks fantastic. A little time consuming with hand sewing but end result just lovely.